Today there are 58 National Parks throughout the country. Three parks—Yellowstone, Grand Canyon, and Yosemite—are known as the "Crown Jewels." Each of these parks tells an important part of the American story. However, all of our National Parks are majestic, beautiful, and sacred. 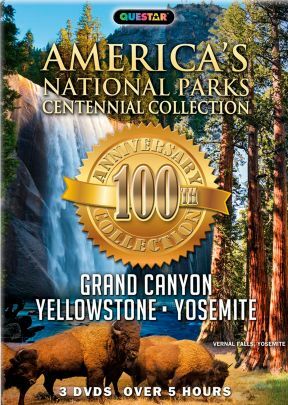 This centennial collection should be seen and owned by all who have ever visited any of America's National Parks. Three discs.